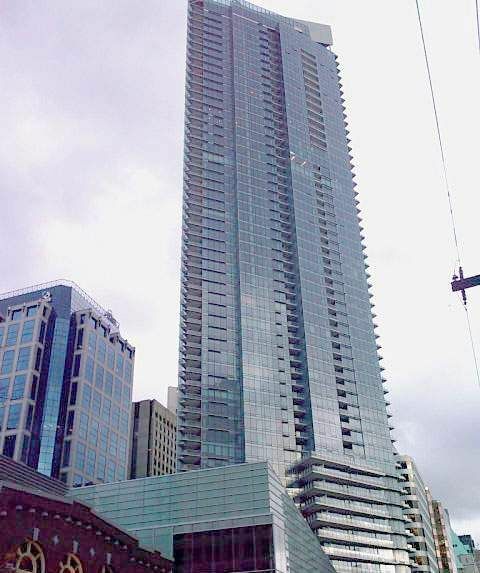 December 2008 sees the opening of North America’s first Shangri-la hotel/condo, which also has the distinction of being Vancouver’s tallest building with over 60 storeys and 293 suites, mostly 1 and 2 bedrooms. Located at 1128 West Georgia Street, on the corner of Thurlow this is Vancouver’s most exotic and sophisticated architecture. Kitchen cabinet and bathroom vanities by Eggersmann of Germany available in one of two colour schemes. 30” or 36” Dimplex Opti Flame electric fireplace. Finest quality Lutron window shades with woven sun control fabric. All shade material throughout the building is the same to create a uniform appearance. KWC Domo Sink mixer with rinsing spray and swivel spout.